The fact, I apprehend is that with “Brotherhood” this resembles the Parisians of 1792 when the demand was to be a brother or be killed. I always found Mr. Mead a very instructive writer. Every man has a niche in which he is valuable, and so I thought of him. But with factional bickerings I will have nothing to do. It was most encouraging to see a review of LTS Volume I in the blog Blavatsky News, in which Mark Casady accurately notes that the heart of the book is the letters from Randall and Page, each of whom provides something of a spiritual autobiography unfolding over a few years of correspondence. 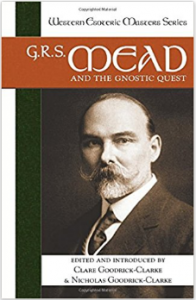 Although the review mistakenly classifies Randall as a Theosophist, if this incites Theosophical readers to examine his letters they will not be disappointed; he is very critical of the TS but never mean-spirited in his remarks. Page likewise was invariably civil and engaging in his letters, up to the point where he broke with Johnson and the HBofL around the same time that Randall left the Brotherhood for family reasons. The E.S. was founded at the suggestion of W.Q. Judge, who had recognized that 5 of 7 members of the TS Board of Control were also involved in the HBofL, including Johnson. These prominent American Theosophists were targeted as “the enemy” against whom a rival secret society needed to be created as a bulwark. But the American HBofL dissolved in 1909 and was replaced by a public successor group, the Brotherhood of Light, nine years later. By contrast the E.S. that Judge suggested to unite Blavatsky loyalists against the HBofL renegades became within a few years the means whereby the TS broke up into multiple hostile factions most of which still survive. The evidence suggests to me that Mead and Johnson were excellent role models in their burying of the TS vs. HBofL hatchet by becoming friendly correspondents as each distanced himself from organizational responsibilities in the respective groups. Had Wilder survived a few more years, Mead might well have patched up their relationship and welcomed him as a friend of the Quest Society, an organization that would have appealed to Wilder more than any of the competing Theosophical groups. This entry was posted in Uncategorized and tagged Alexander Wilder, Thomas H. Burgoyne, Thomas Moore Johnson. Bookmark the permalink.